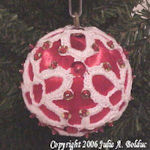 Sugarloaf Snowflake Ornament -- $1.99 A Crochet pattern from Julie A Bolduc. 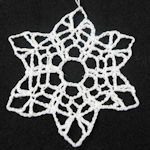 This snowflake is the first in a series of snowflakes I plan to design named after the mountains in Maine. 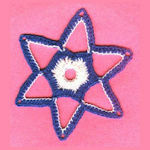 The snowflake is fast and easy to make and would make a great addition to anyones snowflake collection.